The Self Journal just completed a successful funding on Kickstarter which is how I found it. At first I thought it was just another pretty face but I did share it on Facebook so I could get the free download and explore. Here’s what I like about it: 1) flexible, so I can make changes when and where I want/need to; 2) incorporates several new habits I have been trying to do daily; 3) small enough to fit in my purse; 4) goal oriented in 13 week chunks. I absolutely love the 13 week roadmap. 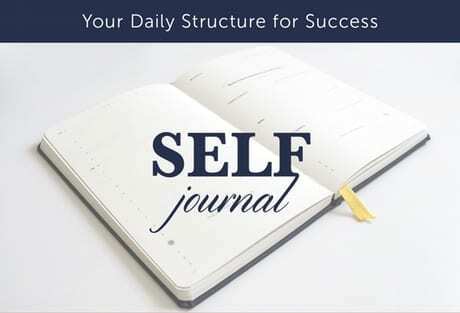 Instead of focusing on the giant goal at the end of the long tunnel, the Self Journal helps you break them down to a more manageable 13 week quarter. It has changed how I plan my week, my days, and the future weeks. First, I set some goals for my first 13 weeks. Next, I set some milestones along with associated tasks. Lastly, I signed an agreement with myself as a commitment to make this work. The creators of the Self Journal focused on six principles as they brought their journal to life: 1) craft a roadmap for your life (great idea! ), 2) zero-based calendar (this one scares me a little), 3) Prioritized, proactive productive (I love planning, hence my obsession love with of planners), 4) Flexibility & freedom (love! I need structure but I want to make changes), 5) Tracking & reflection (keeping track of things and writing about them – always a good thing), 6) Bookend your day with positive psychology (already doing the nighttime gratitude plus happy jar so morning gratitude easy to add in). Plus they give you a self definable morning and evening routine on the daily pages. Want to start using the journal right now? Great! The daily pages are not dated so you can start any day of the year and not waste the days you don’t use. The journal has the “how-to” section, a 13 week roadmap, daily pages, and weekly pages that help you keep up with your progress. Check out the video at the Self Journal sight. They are now taking pre orders.